Defending Hizbul Mujahideen Chief Syed Salahuddin, outgoing High Commissioner of Pakistan to India, Abdul Basit on Tuesday called out the United States for branding the former a 'terrorist'. Speaking to ANI here, Basit said that Salahuddin was struggling for right to self-determination of Kashmiris. "Whatever he is doing, which is also seen in Pakistan and J&K, is a struggle for the right to self determination," Basit said, adding that Salahuddin is not a terrorist as far as Pakistan is concerned. "We don't agree with him being a global terrorist and also criticize the decision on part of the United States as well," he said. Salahuddin, is one of the most wanted terrorists in the National Investigation Agency's ( NIA) list. Salahuddin is the senior leader of the militant group Hizbul Mujahideen. In September, 2016, Salahuddin vowed to block any peaceful resolution to the Kashmir conflict, threatened to train more Kashmiri suicide bombers, and vowed to turn the Kashmir valley "into a graveyard for Indian forces." 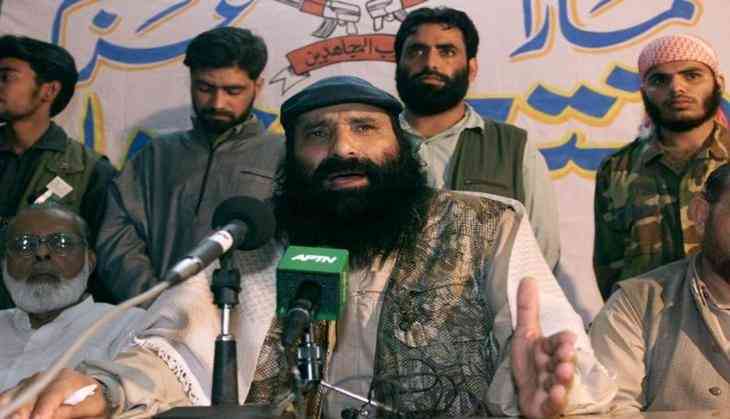 Under Salahuddin's tenure as senior Hizbul leader, the terror outfit has claimed responsibility for several attacks, including the April 2014 explosives attack in Jammu and Kashmir, which injured 17 people. The U.S. State Department said in a statement, "Department of State has designated Mohammad Yusuf Shah, also known as (AKA) Syed Salahuddin, as a Specially Designated Global Terrorist (SDGT) under Section 1(b) of Executive Order (E.O.) 13224, which imposes sanctions on foreign persons who have committed, or pose a significant risk of committing, acts of terrorism that threaten the security of U.S. nationals or the national security, foreign policy, or economy of the United States. As a consequence of this designation, U.S. persons are generally prohibited from engaging in transactions with Salahuddin and all of Salahuddin's property and interests in property subject to United States jurisdiction are blocked." Talking about Hafiz Saeed who is the co-founder of Lashkar-e-Taiba and the most wanted terrorist by Indian authorities in the 2008 Mumbai attacks, Basit said that Saeed was put under house arrest but was released due to lack of evidence. "We are trying to gather more evidence against him and if we find there is enough evidence available to try him, we will do that," he said. Earlier today, the Punjab government in Pakistan issued a notification to extend the house arrest of Hafiz Saeed, and his four aides for two more months. On January 31, Saeed and his four close aides - Abdullah Ubaid, Malik Zafar Iqbal, Abdul Rehman Abid and Qazi Kashif Hussain) were placed under house arrest by the Punjab government for 90 days under the Anti-Terrorism Act 1997. Afterwards, their house arrest was extended for another 90 days, and expired on July 27 last month.